Hi there! 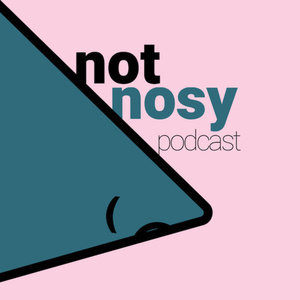 I’m Rebecca Carter (you may know me as recgator) and I’m so excited to kick off my new podcast, Not Nosy. Over the past couple of years I have come to know so many amazing artists, from actors and writers, to illustrators, photographers and musicians. I mean just so many amazing people from all around the world. And I see their work and I get to know them a little bit and it just leaves me with more questions.